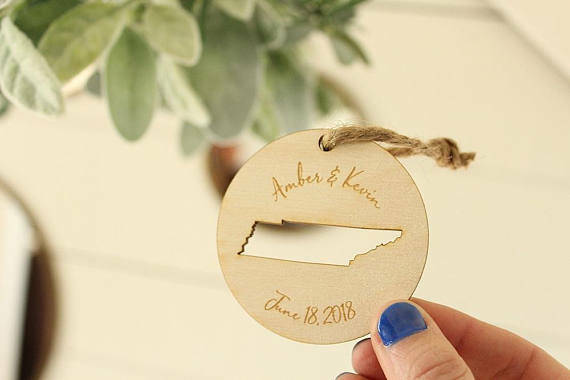 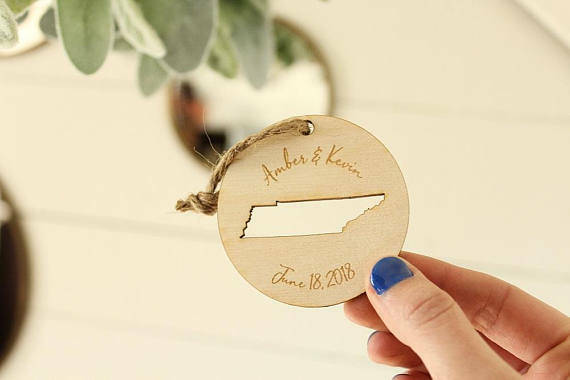 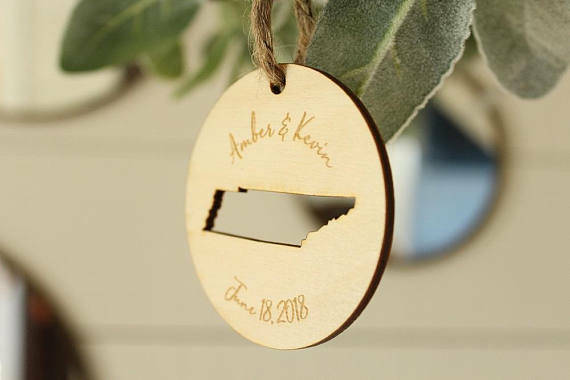 Our custom engraved state ornaments are perfect for weddings, corporate events and more.! 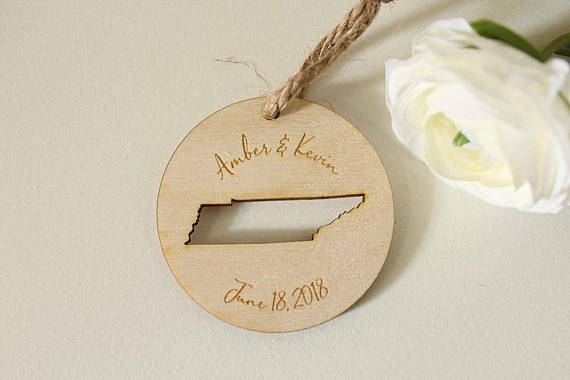 Each ornament measures 2.5 round. 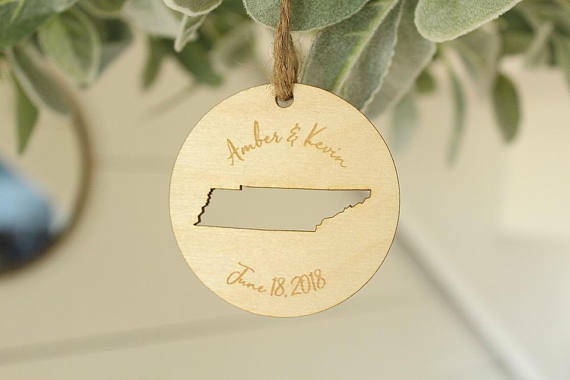 Please select desired state and add the names and date to be engraved on the ornament in the notes to seller upon checkout.